What child hasn't formed a sheet of paper into a cone and then used it as a megaphone? Or hollered into an empty wrapping paper tube to hear how it changes their voice? Megaphones, microphones, and leftover cardboard tubes are fun! Except, maybe, when someone is running around a construction site shouting orders at their friends. 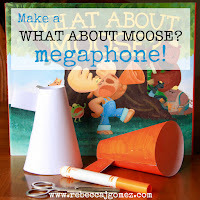 Then again, if a child runs around with a paper megaphone pretending to be Moose shouting orders at his friends, then that is a playful and fun reading extension activity. And it's even better if they make the megaphone themselves! 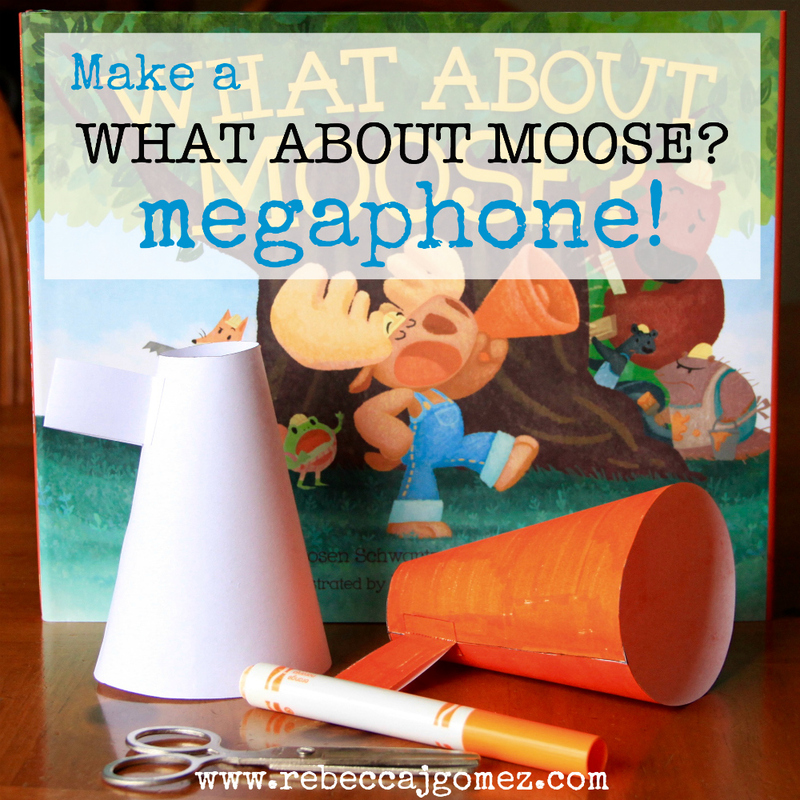 Your kids can make their very own Moose-inspired megaphone using this free template. Simply print the pattern (it works best on card stock), then follow the simple instructions on the pattern to put the megaphone together. Have fun, but remember: Don't be a bossy Moose!